It's our first Random Rebellion for 2012 and the future of rebellious-wedding-kind looks super bright. 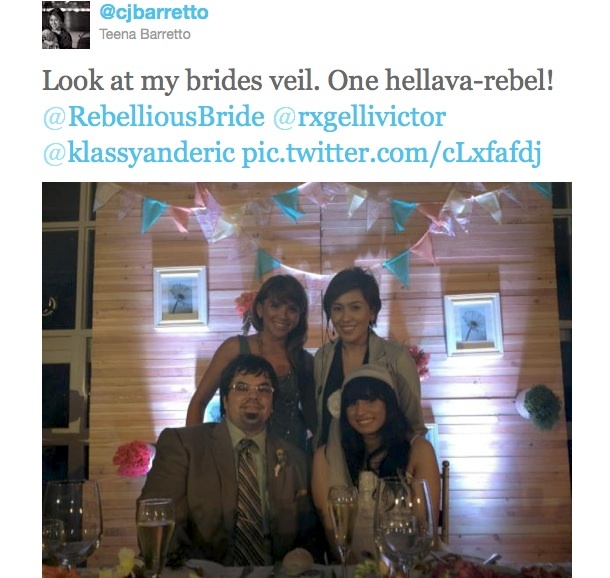 Check out these tweet tips we've received from "D Unbeatable Events Diva" Teena Barretto! Don't they look like they popped out form one of our Kate Spade Mood Board inspirations and How to Fight the Veil blog posts? So lovely! Hopefully we get can get our hands on this rebellious wedding soon! Thanks for featuring our wedding! :) My mother-in-law DIY-ed my veil. I was inspired by an Elizabeth Messina wedding photo shoot. Also, we had a Jewish wedding, and I wanted to wear my own version of a yamaka. 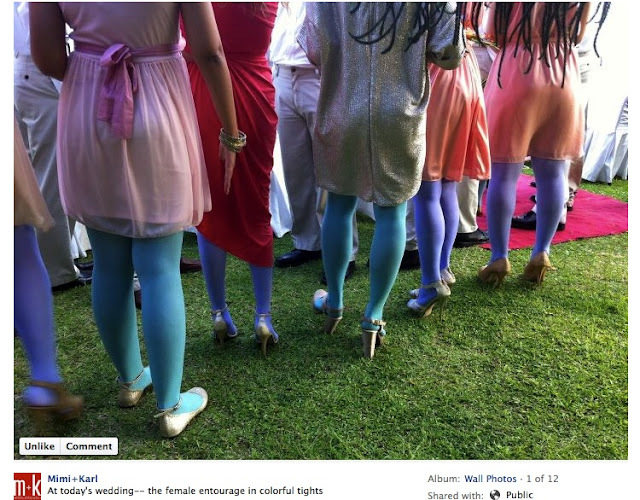 The bridesmaids' outfits were all my concept. I wanted to be their stylist. I really was inspired by Kate Spade. I told them to wear peach dresses, because I like the look of mismatched bridesmaids. I asked WeLoveColors.com to custom dye the colors in lilac and dusty green, and bought them for each bridesmaid. I remember thinking, "Oh my gosh my bridesmaids are all going to look so Kate Spade-y, so very like Blair Waldorf minions!" Or tweet me if you want more details!